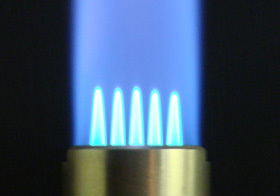 Focusflame Limited is an industrial combustion engineering company. Our engineers are committed through our 25 years of experience in the manufacture and design of industrial gas burners and control systems, we are able to offer our customers a dedicated service and solutions to their specific individual requirements. Our engineers and staff are available to advise on all your gas combustion requirements, new projects, upgrades, servicing, maintenance and any other industrial gas combustion needs.